- mesh screen which allows for the removal of stubborn colour from the brushes and allows all colour to sink to the bottom of the cup. - spirallised brush stand to place your brushes in, which holds them upright in the water or solvent without bending or damaging the bristles. Fill your well with a solvent, or water and place the mesh screen in the well. 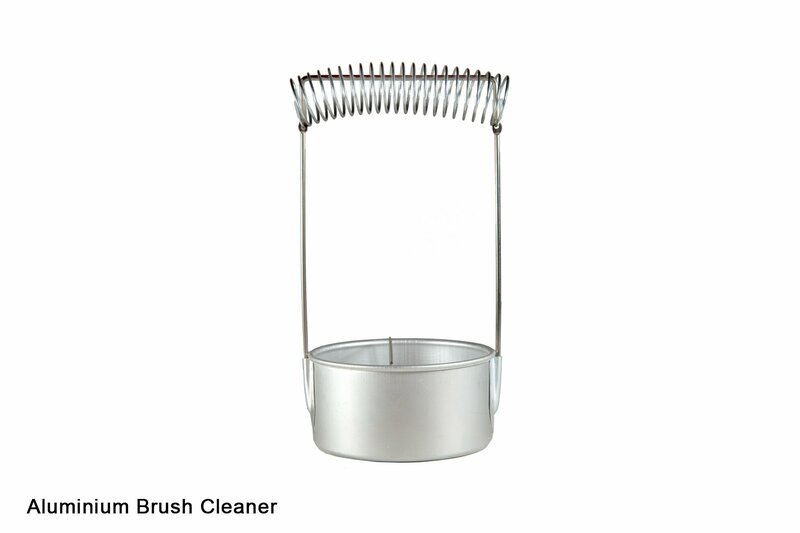 As you work with your brushes you can clean them using the screen at the bottom of the well to dislodge colour from the bristles and then placing them within the wire handle to hold them upright in the solvent or water without bending or damaging the bristles. This item has 214 views.